A Flint State Representative whose district has conventional public schools that have among the highest absentee rates in the state has introduced legislation that would mandate parents who homeschool their children be required to report attendance to the state. 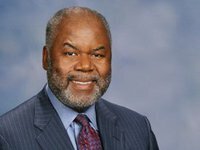 Rep. Woodrow Stanley, D-Flint, said in a press release that “there are a growing number of kids becoming truant” in homeschools. Michael Van Beek, education policy director at the Mackinac Center for Public Policy, questioned how Rep. Stanley could know truancy is growing in homeschools since the state doesn’t require registration of homeschool students or that such records be kept. The City of Flint Public School’s attendance rate was 91.8 percent in 2009-10, which ranks 529th out of 550 districts. Flint Beecher district’s attendance rate was 91 percent in 2009-10, which was 535th out of 550 districts. Rep. Stanley’s office didn’t respond to questions sent in an email. There is an estimated 45,000 children being homeschooled in Michigan if the state has the same percentage of homeschooled children as the 3 percent national average. Bureaucrats vs. Parents: Who Should Choose Where Children Are Educated?